Various - "Heimatklänge Vol. 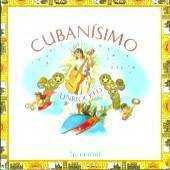 7: Cubanisimo"
Be prepared for the intriguing melodies and unresistable of a next cuban wave, as explored by HeimatKLÄNGE, Berlins biggest summer festival at the Tempodrom, the internationally renowned cuktural circus just opposite the Reichstag. Join the 100.000 enthusiastic visitors who celebrated a seven week long Cubanisimo marathon party with the: Afro Cuban All Stars, Vocal Sampling, Cubanismo starring Jesús Alemañy feat. Tata Güines, Bamboleo, Estudiantina Invasora, Candido Fabré, Los Muñequitos de Matanzas, all from the very Primera Linea of today s Cuban Music. 4. Cubanismo feat. Tat Guines: Donde Vas Mulata?